Paleo, gluten-free or just looking to lower carbs?? Amazon has a great deal on blanched almond meal on Amazon! As low as $5.83 after coupon and 15% S&S! Blanched almond meal is great for baking or using in place of flour in recipes. I use it all of the time! 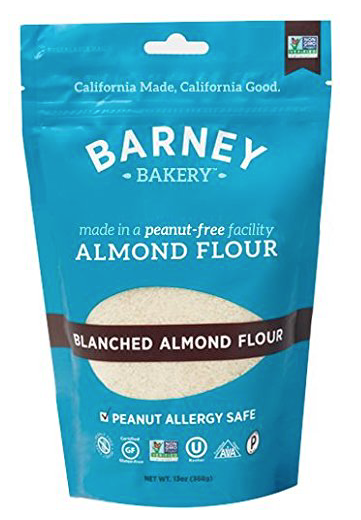 Unlike other almond flours, this Barney Bakery brand is made in a peanut-free facility, so this is the brand you want to get if you or a family member has a peanut allergy. This sells for $10+ at other retailers, so this is an awesome price! If you prefer to use this coupon on their Barney almond butter, check out these deals here.